3 Bedroom Holiday lodge based on a family of 5, Double bedroom, Single Bedroom and Twin Bedroom. 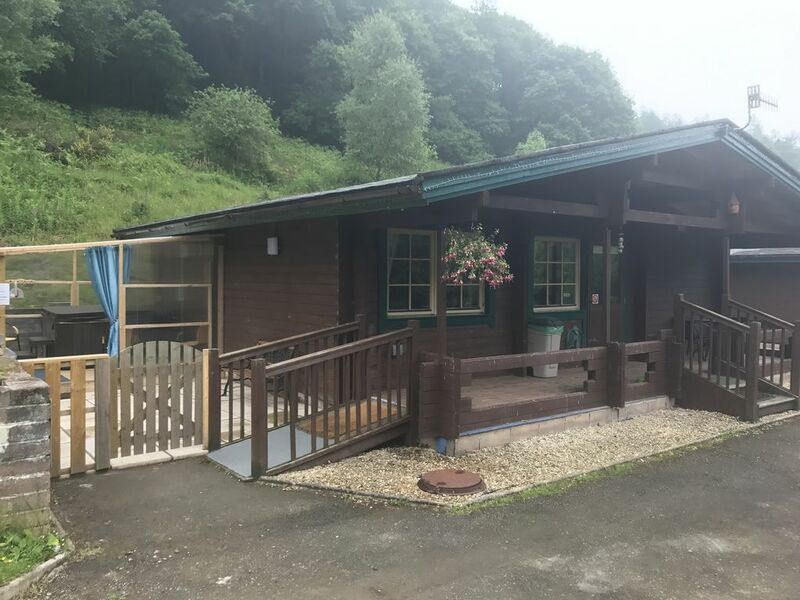 Parking for up to two vehicles, self catering, Wheelchair access, shower room, kitchen/ dining room/ lounge, T.V with Freeview and DVD player, Veranda to the front of property, enclosed Hot-tub to the side, free Wi-fi. The property is set in 5 acres of broadleaf woodland close to Cardiff (8 miles away) Newport (6 miles away), there are regular buses running through the village(every half hour) , the nearest train station is Crosskeys (25 mins walk, Ebbw Vale Line). We provide bedding and towels, you may want to bring your own for hot-tub, there are many walks within a 3 mile radius and we also have the Wonderfull Brecon Beacons national park which is a 30 minute drive from us. Pets are welcome in the lodge. We do not do group bookings for males or females, we will only do contractors. I have owned this property since 1995, buying out my previous business partner in 2008. Myself and my wife are slowly building the business, but also believe in privacy for our guests who may just want that time away from the hassle and bustle. The lodge was imported flatpack from Finland in 2004, this is the first one we have added a Hot-tub to in February 2017, since then it has been booked regularly, we are constantly improving the lodge and surrounding area. Views, Hot-Tub, pets welcome, access to various parts of South Wales and beyond. Wonderful retreat. Clean, well furnished and Dafydd was the perfect host. Had a lovely weekend away here with my 3 kids. Everything you could need in the cabin. Plenty of electric sockets for my sons oxygen and monitors, which I had found a problem with other places in the past. My daughter loved the hot tub. Stayed here with my partner and my friend with his partner for a weekend away just before Christmas. Amazing getaway and the cabin had everything we needed. On arrival we were greeted and shown around the cabin. The hot tub was prepared ready for us to go in on arrival. Even though the cabins were close to a village and not far from shops, looking out the window and in the hot tub you felt as though you were in the middle of a forest. Had a great time and would would definitely go again. Highly recommend. Only able to squeeze in a two night stay with the grandkids, but very impressed with the overall facilities, hope to make a longer stay soon.